Luke Jackson, Matt Castello and I bring on the Penn State’s Daily Collegian Joe McIntrye to talk about the Penn State situation and the feeling of students, alums and football players at Penn State. 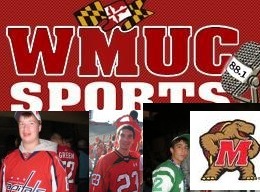 The trio then discuss the proposed elimination of six University of Maryland sports before discussing Week 10 in the NFL. You can also download the Monday Night Madness podcast on iTunes or download the show by clicking here! This entry was posted on November 15, 2011 by Scott Kornberg. It was filed under Monday Night Madness, Podcasts and was tagged with Andy Reid, Baltimore Ravens, Cam Cameron, Jerry Sandusky, Joe Paterno, Luke Jackson, Matt Castello, Michael Vick, Mike Vick, Monday Night Madness, New York Jets, Penn State, Philadelphia Eagles, Ray Rice, Scott Kornberg.